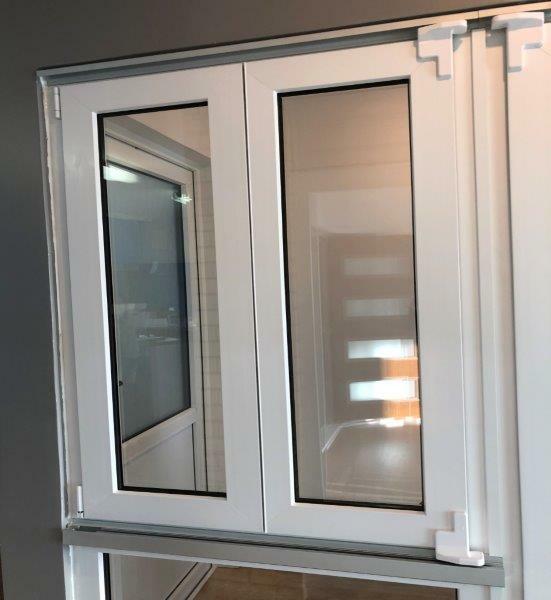 Bi-folding windows can create a particularly large opening. 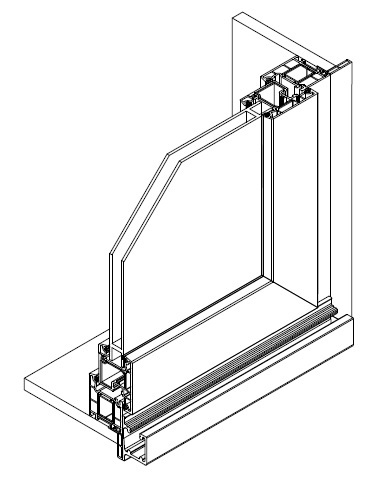 Bi-folding windows can have two to eight sashes. Hardware for Homerit bi-folding windows are made by Siegenia ( www.siegenia.com ) in Germany. 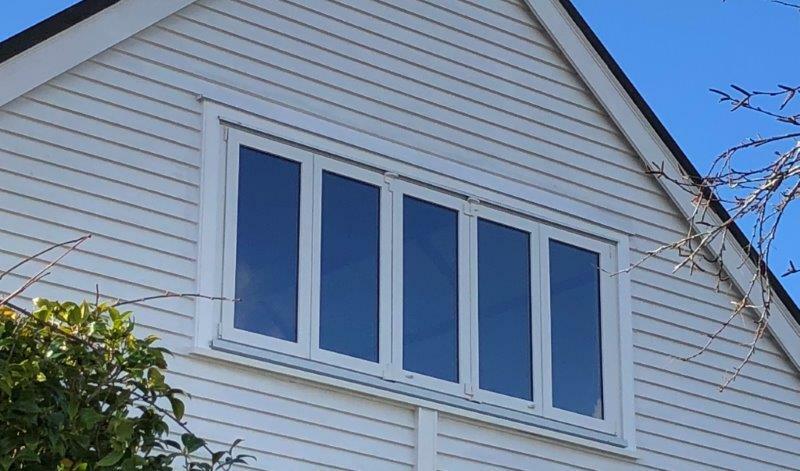 Up to eight window sashes can be connected – with a carrying capacity of up to 80 kg per sash. 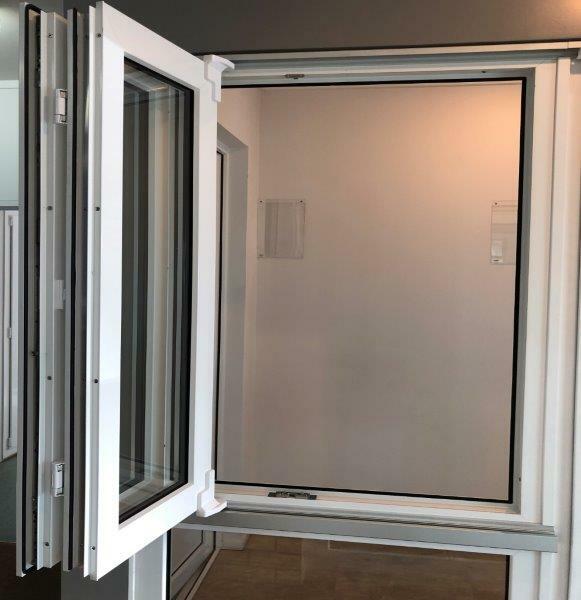 Our bi-folding windows are exceptionally convenient to operate and the folding sashes can be easily and safely pushed aside. Large ball-bearing mounted rollers also guarantee free, quiet running. The high grade Titanium Silver surface finish ensures a long life for the track. 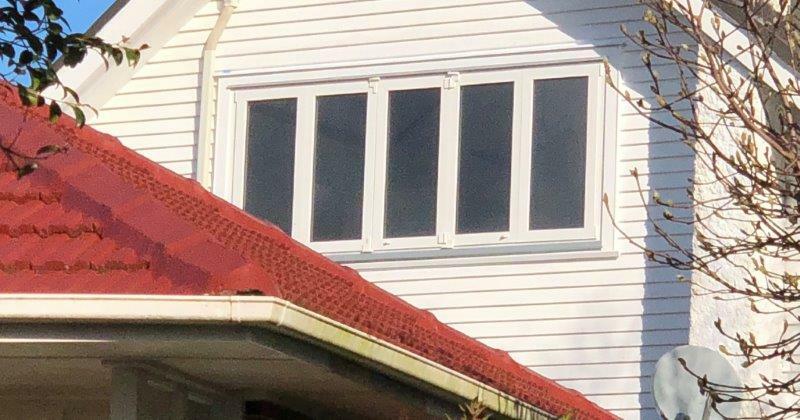 Because PVC-U profiles are quite big, recommended bi-folding window sash width is 600mm or more otherwise the glass may look small or out of proportion. 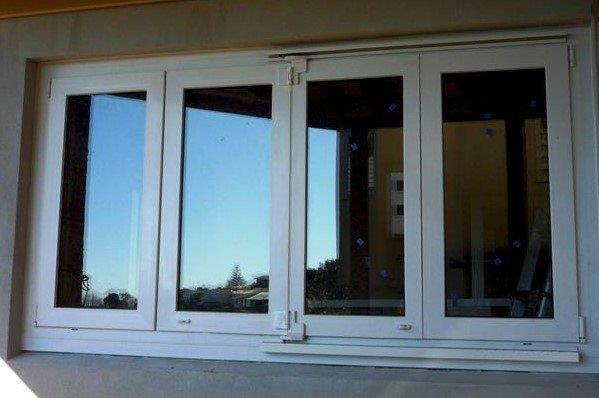 Due to high cost of the hardware, bi-folding windows are more expensive than other types of windows. 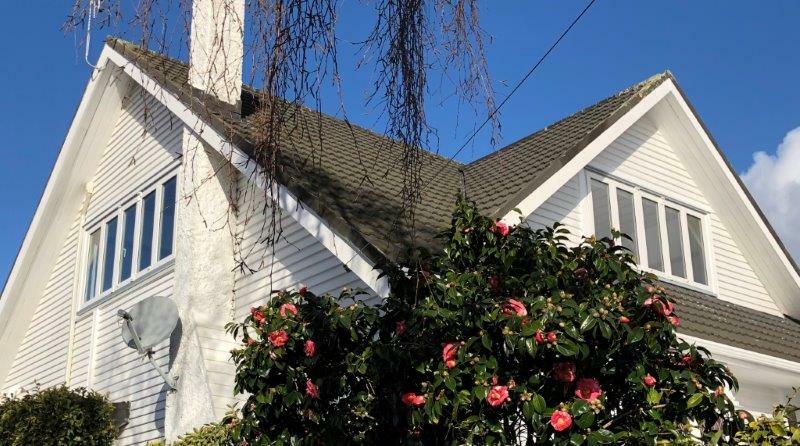 If the window does not need to open fully, stack windows which can open two thirds of the width may be a good option.